You hear that a lot these days; this company and that company saying they stand behind everything they sell, but, if you do have a problem, good luck with getting any real satisfaction. You’ll call some toll-free number, be shifted around from voice mail box to another until your call is disconnected and you start all over again. Well, when it comes to our high quality custom carrying cases, we really do guarantee our quality and your 100% complete satisfaction. Getting back to those ‘other’ companies, when you finally do manage to speak with a human being (after half an hour or so), they could care less about your complaint. They may tell you it’s not their department and they’re going to transfer your call – oops, disconnected again. The company’s hope is that you’ll finally just say ‘to heck with it’ and give up – most folks do. We’re always delighted whenever anyone chooses our fine products that come complete with our good name. 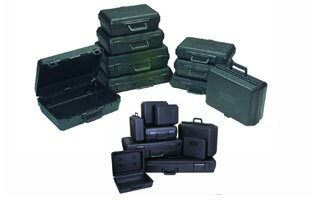 We really do stand behind the quality, workmanship, and durability of the plastic carrying cases we sell – every last one of them. If, for any reason, you’re not completely satisfied with any aspect of our fine products, rest assured it will be fast and hassle-free to resolve the issue. Contact us anytime!